[We want] to achieve a rank of purification for the physicality. The journey doesn’t end with the purification of the physicality, it is merely a beginning, in which to reach towards our timeless reality. 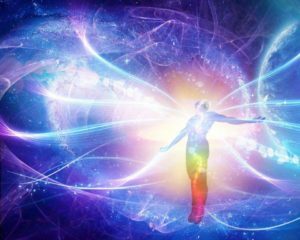 The timeless reality is the soul and that soul is governed by and its energy, is going to be love. The guides teach us that how to open that reality is what is important. Then heart and love, the seed of love is the heart. So every direction you look, you have to come back to the heart. What they want for us to understand is the spiritual and the physiology of the body. That is because you are trying to achieve a rank by disciplining the physicality, to open the reality of the heart, the spirituality, the base of the soul which is based off of love. Then the guides teach because it is an eternal loop. In the beginning phase the head has to be in submission. So the first Zikr is laa ilaaha ilAllah (there is no God except Allah). 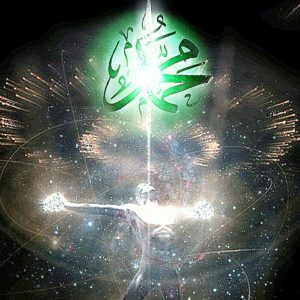 Laa لا – you bring your energy to the forehead, ilaha اله – to the right (side of chest) ilAllah الا الله to the left (the heart). It means the energy is coming in, and moving that energy to the head. Head is laa. Then to the right, ilaha. And then bringing all the focus of the energy into the heart, ilAllah. So laa ilaha ilAllah (energy from forehead, to right side, then towards the heart on the left). So then it is the testimony of Oneness, “there is nothing but God, there is nothing but Allah.” You can’t even say God because they have gods and goddesses. Allah has no plural, Allah is the Arabic word for the Divinely Presence. It has no plural, no masculine, no feminine. So laa ilaaha ilAllah (forehead, right, left) to bring into Oneness. The guides begin to teach, that the only way to open the heart is to bring the head intosubmission. So then they begin to teach us, the focus of what we are trying to learn is that the head has to submit. The head is the governing entity of this body, incorrectly. 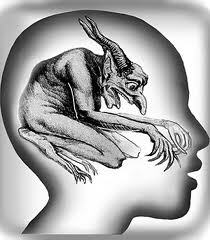 That kingdom that the head has claimed, is through the ego and the partnership of satan. There can be no partnership with Allah, with God, so there is no sharik with Allah (Azza wa jal). What Allah (Azza wa jal) is warning us is: that your ego is becoming a partner with satan. And the two of you are coming against My Heavenly Kingdom. My light should be within your heart and My Kingdom should be in your heart, as it is in Heaven. As you want it to be in Heaven and you want to be under My Dominion and in My Kingdom in Heaven, then you must be a mini kingdom of that reality. We must have that light in our heart and the dominance of the Divinely Presence within the heart. So they begin to teach that satan and they are in partnership to bring us down. They have hijacked the head. So then our first goal is to decapitate the head, in spiritual terminology not the physical. So by saying, “Laa ilaha ilAllah,” means you are trying to teach yourself: there is no importance in my head, that my head is confusing everything. My head is confusing my path. I am contemplating through my head who my shaykh is, who Allah is audhubillah, astagfirullah, who Prophet (ﷺ) is, who my shaykh is, who my teacher is? Who is everyone? I am putting it through my head. And the head does not have the faculty to know anything. Then we begin to realize how difficult that process is. That is a lifelong process. It means it doesn’t come complete, you have mastered it, and now you go on. No, because even Allah (AJ) was asking us: “Don’t talk to Prophet (ﷺ) by saying, ‘listen to me,’ but ask Prophet (ﷺ) to look at you,” because his (ﷺ) hearing is in perfection for God, for Allah (AJ). Then they are teaching the perfection of hearing is to reach that level of perfection. So then my focus is on my ears, my ears have to be in submission. So then how are they going to be in submission, if I don’t accompany a guide? Then I am listening to myself and submitting to myself. It is impossible! That is the sharik and that is what God said, “Watch out for.” How can you be submitting if you are only submitting to yourself? Your self is already partner with bad desires and what they call satan; the bad desires and bad characteristics. So it means you have to find and seek a guide, a teacher. By listening and trying our best to submit to their teachings, to their understandings, I am able to calibrate myself. 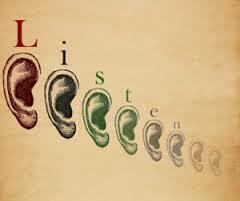 Most important to listening is not talking. The more you talk, the less you listen. The ego becomes so big, that as soon as it hears something, it is going to say five things back as a rebuttal. Because the ego is saying inside, “Don’t tell me anything, I know everything.” So then in the formula for this energy to work, is to open the ears to listen, to listen, to submit. Not where you forcefully submit, but you take the teaching and then you put it upon yourself and say, “I am going to try my best to submit to that teaching, to take that understanding, to take what is being said for me.” Why? because I am in need to show my humility to my Lord so that my heart can open. So that my soul can reach its timeless and eternal reality. Then the guides begin to teach and teach, and interact with them. So as much as that energy coming to the ears, they said then, “Put a rock in your mouth,” because as you are hearing, you are going to try to speak. Why? because your speech is going to negate what he (teacher) just said. So then you didn’t go forward and you are going backwards. That is why everything in the way and on the path has tremendous secrets. 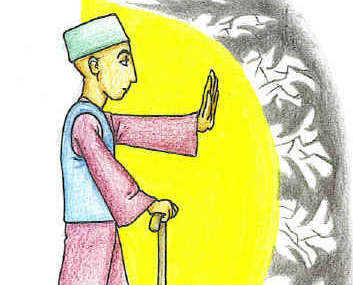 Why did Sayyidina Abu Bakr as-Siddiq put a rock in his mouth? He is teaching us that as the message is coming, these realities are coming is the father of our way. He says, “Put a rock in your mouth so as to not speak.” Because the energy that comes, who is going to want to speak? Not your soul, but the bad characteristics, the ego, and satan within us. The ego and Satan wants for us not to achieve the rank but to fall from grace as he fell, as Satan fell. So it means as much as we are hearing, as much as we are hearing, as much as we are hearing, they recommend: don’t speak, don’t speak. Take it into your heart. Take it in and digest it, digest it, digest it, and bring that reality into your being. Then you have to have your internal fight. Now this knowledge and this information comes into your ears and now moves. Who is waiting inside there? The ego and satan saying, “What did he just say? No way.” Here we go, waooo waooo waooo, like the cartoons, all the different beings are now talking and fighting. We are going to see who comes above. Information comes and you are going to see who came out victorious. You see them the next day, did they come out victorious or the other one won, and the soul was put down and crashed? So then that path is very real, the battle is very real and we experience it on a daily basis. Then hear and don’t speak. The guides are not interested in any knowledge or information that you have. Keep it for yourself. This is not a collective resource academy where you bring two things that you know, you bring two things that you know, you bring two things you know and we put it together like a kallepache, a soup with the head, the eyes and ears in one soup and say, “ok this is now our reality.” No! They don’t care for it. The guides have a curriculum, a lesson and teaching to be taught. For anyone who has the ability to learn. They don’t care about any other curriculum, they don’t care about any other book, they don’t care about any other website. They don’t care about anything other than what their shaykh (teaches them), through their sami’na wa atanaa (we listen and we obey). It means they achieve what they achieved by what exactly they are teaching; they achieved it by reaching a station of listening and obeying. So as the guides listen, they listen only to their shaykhs; they don’t listen to anybody else. If they listen to anybody else that would not be a guide. That would be sort of a political system, everybody votes and puts their opinion and based on the greater opinion then everybody will do something. No, they have a curriculum of spirituality that has to be achieved. 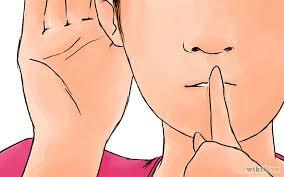 The guides begin to teach that discipline the ears, and stay silent. As they begin to teach to discipline your ears and begin to understand the teaching, you submit your eyes. Keep a path in which your eyes are closed. That negate the vision, negate the importance of what you eyes are seeing. Your eyes are seeing everything as an illusion, everything as a deceit. That keep a path in which your eyes are closed and don’t fall for all the allurements of this dunya (material world). He said: “O my Lord! The prison is more to my liking than that to which they invite me: unless you turn away their plan from me, I might (in my youthful folly) feel inclined towards them and join the ranks of the ignorant” (12:33). Not that he was running after her, because she was running after him, scratching him from the back. Means they are going to teach this is a barakah, there is tremendous barakah (blessing). 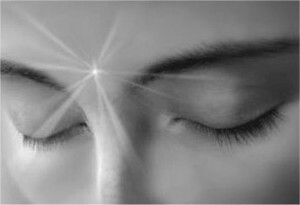 This reality is real, begin the practice of keeping the eyes closed, that nothing from this world is of any benefit for us. As soon as you meditate and keep your eyes closed you are asking Allah (AJ) to go inside. This is all the way of opening the heart. We said that how could that be popular today? Heart meditation? No, everything is brain meditation, they don’t teach you to shut anything off. They teach to hallucinate and visualize anything you want. They go and spend a thousand dollars and become a master in a weekend, or spend three or five thousand dollars just to open the faculty of the head and hallucinate. But to come and say, “No, no, you have to discipline your ears.” Why the ears? because it is the door to the soul. You have to discipline the eyes because it is the window to the soul. It means for me to pull your soul out it is going to be through sound. That is why as soon as they play the salawat (prophetic Praising) and begin to meditate, they are able to pull the souls out. The soul comes out like butter out because it loves the salawat, it loves the praising upon Allah (AJ) and like butter to a knife it begins to move towards that presence because they have that secret. They teach us then discipline your eyes, begin to take a path of keeping the eyes closed and what I want is not from here yaa Rabbi I want from the eternal reality. Discipline the breath and the importance of the breath, and our whole way is built upon the breath. That my existence is based on the breath. As soon as I am disciplining myself and I understood the importance of hearing, trying my best to hear, try my best to stay quiet. Try my best to not be under the allurement of my eyes, keeping myself closed. Then beginning to listen to these beautiful sounds and praisings upon the Divinely Presence, praising upon Prophet (ﷺ) and then breathe. 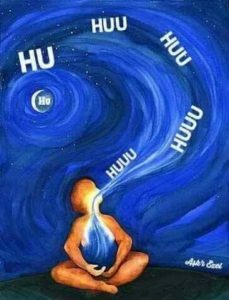 All of that to open the power of the breath. It means our reality is based on that breath, our being is based on the breath. The soul’s energy is the breath. If you energize the breath, the soul like a rocket moves into that Divinely Presence. 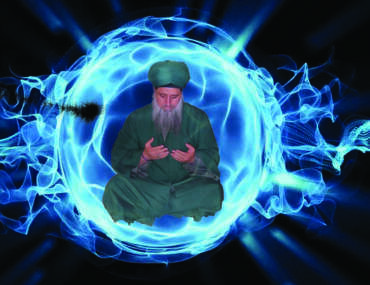 So then you begin to master the breath, that every breath is with a Zikr, every breath with a consciousness. Then if the breath is being mastered, then from these seven openings the last opening is the tongue. The guides begin to teach that was the tongue that had to be closed because the ears have to be in submission. So keeping a path of silence and silence and silence because they want the focus of this head, for you to begin to understand your heart. Because everything coming through your ears is affecting your heart, we don’t know it. As soon as you hear the words, oh, oh, you feel an agitation in your heart. You start looking at all these different things and you find your heart now leaving Allah and running after dunya (material world). It is coming from your eyes. If Allah (AJ) took your eyes away, what would you be doing? If tomorrow, God forbid, that Allah took your eye sight away there is no more hope of dunya, you can’t even comb your hair. You will be sitting on your sajada (prayer carpet) crying and praying to Allah (AJ) that it is time to go, I don’t want to be here anymore. They are teaching us our psychology that that hearing is directly affecting your heart. Your eyes are directly affected to your heart. Your breath is going to be the consciousness of your heart. If you don’t care for your breath, what are all the other things that you are not grateful for? Allah says: how many of My Signs are you not grateful for? So then it opens up gratefulness, it opens up what we call the Breath of Mercy, it is Allah’s Rahmah. Yaa Rabbi thank You for the breath that You gave me, that I breathe it in with a consciousness. All of that is now teaching me in my heart, then they say that now because you are understanding, the last and most powerful opening, is your mouth. If the mouth really has a rock and you try to hold back your mouth from talking back to what he says, and what you have heard, and what you have learned, because everything you are going to nag about it. “Why is this shaykh like this? Why this shaykh said like this? Why that shaykh said like this?” It is not coming from the soul. It is coming from the ego. 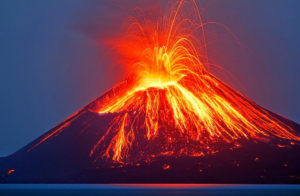 So now your volcano, they are showing, the fire is within the heart. What is coming from people’s mouth is the lava. People think they have a bad mouth and Allah says, “Wait, what is in their hearts is far worse.” So as much as you allow your mouth to erupt, the volcano is becoming stronger and stronger. So here in western philosophy they say, “Shout, get it out, go and yell at people.” Well, your volcano will become more fierce. The guides want you to shut it, destroy it, suffocate the oxygen from it so that it burns no more. It doesn’t give up. Allah (Azza wa jal) wants us to know from all the prophets that Sayyidina Ibrahim (as) was being thrown into the fire. He (as) comes and teaches us that at this level of what you want, is ask Allah (AJ) that give me a coolness from this fire. I am angry at everyone and whatever they say to me, I am very angry from it. I am just a volcano in Your Creation, hurting everything and everyone. Allah (AJ) says: that is not what I want from you of Paradise. Hurt no one, stay silent, cry onto Me until I begin to send that fire down and and down and down. Once that is moving, they are registering and seeing that the ears are reaching submission, the eyes are leaving the love of dunya. 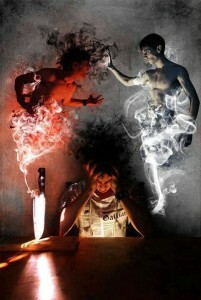 They say that you have the four enemies that are blocking the soul. That the love of dunya is blocking the soul. The Soul has been quartered into four section. Why the soul is not whole because of the four enemies, which are the dunya – the love of the material world, the hawa – the seeking of physical pleasure and physical entertainment, nafs (ego) and Shaytan (satan). These four enemies have quartered the soul, not to be whole. 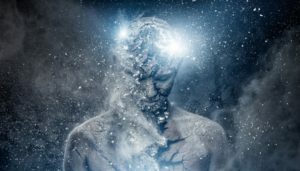 When we begin to focus on these realities we begin to understand that when the head is submitting that these realities are being worked on, it is actually working on the heart. As soon as we begin to work on the heart, we begin to see if I can keep silent, the flame and the fire and the agitation within my heart begins to go down, to go down, to go down using always the reality of wudu (ablution). Then the reality of the water begins to take fire away, take fire away, More important is that every action provides a reaction from Divinely Presence, that as you wash with that intention on your physical being, Allah sends a rahmah on to the soul. Because you can’t wash the soul with water, but you provide the action and the niyyat that I am washing with this water to take away the anger that is coming upon my heart. It is not allowing my heart to open. Then, the guides begin to teach us that once that is happening and the head is submitting, they see that that student is reaching where they want them to reach. Then they begin to focus on the heart. Then they begin to teach us how to open the reality of the heart. How to focus on each of the lataifs of the heart. How to understand the eternal message that every prophet brought of the reality. That why at the station of the Qalb (Heart) – [first level of the heart] is Sayyidina Adam (as) because there is an eternal reality that we are always coming from Heavens and landing onto Earth. Allah taught us all the names and all the realities which we are not achieving any of them, we have been granted a noble station and God wants us to achieve it. From the Qalb to the Sir, at the station of the Sir (Secret), Sayyidina Nuh (as) is teaching that I had to build the ship, and you build your ship. That my eternal message that Allah wants for your Creation, because there is a message for the time of the Prophet and a message for Allah that has no time. The eternal message of the soul is that you have a soul and your soul is the ship. Your ship has to be built, your reality has to be built.If you build your soul it knows how to reach its destination. 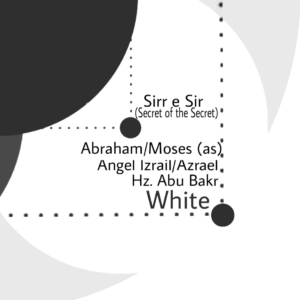 There is a reality for Nabi Ibrahim, Nabi Musa (as) at the station of Sirr e Sir (Secret of the Secret). 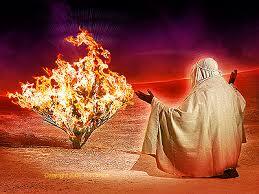 Nabi Musa saw Allah (AJ) as burning Bush. Allah (AJ) is not a burning bush but if your heart is on fire and in love with the Divine Presence then that bush is the way that you are seeing Allah (AJ). Everyone will see Allah according to their state, but take yourself to the purified state of love. When you are in a state of love yearning for the Divine then the Divine begins to appear as love, and moving into that ocean of love. Then Sayyidina Ibrahim (as) is teaching us at the same station. They are both dealing with fire. 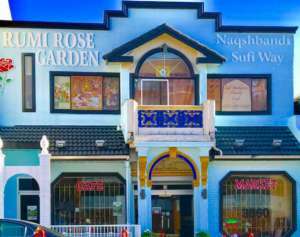 This is the maqam (station) at the Sirr e Sirr (Secret of the Secret) in the lataif of the heart. Each one is teaching us that you have to enter that state of love. Sayyidina Ibrahim teaching us that yes, as everything is trying to burn and make you like a volcano, you have to be of a fiery loving nature of the Divine. That the only thing that burns is you within yourself. You burn within yourself for the yearning of the Divinely Presence. Then they take us to the eternal message of Sayyidina `Isa, Jesus Christ peace and blessings be upon him. 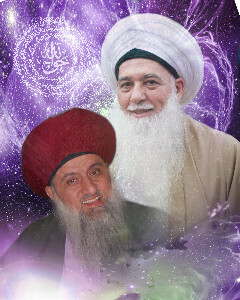 Sayyidina Isa (as) is teaching us that you must resurrect your reality. If all of this within you is truly submitting, you must feel like you are dying. That your desires are going down, your wants are going down. All of what you thought and planned for yourself, have gone down like a dead carcass. Only at that time of death and the desires of dying, can the soul be resurrected and the contract will be reversed, where the soul, like a zilzala (earthquake) the soul will begin to crack out of the reality. The reality of the soul begins to encompass the body. Where now the body is encaging the soul, and at the station of death that: don’t look at them as have died, but they are very much alive. Means they entered a state of death but they are alive and their soul governs their body. They hear with their soul not only with their body ears. They hear with their soul, they see with their soul, they breathe with their soul, they taste and speak through the oceans of their soul. That reality begins to open a deep reality. That you are talking about the soul, that when people, the men and the women of the Divine, when they open the reality of their soul, means their soul dresses everything. It is the world of Light, that is eternal. When you are talking about the soul you are talking about an eternal timeless reality. That if you come across somebody whose soul is open, whose heart is open, their light emanates everywhere, and an eternal dress is dressing everything. As much as you eat and drink and chant and praise, you are not praising under your tajalli (manfistatio), but you are praising, chanting, eating and being dressed by their Paradise Reality. It is completely different than five people coming together and sitting by themselves, trying to uplift themselves with somebody whose heart is open and their soul is governing their physicality. It means everywhere they walk is from their Paradise Reality. Whatever they eat, Allah is sustaining them from their Paradise Reality. Whatever they drink Allah (AJ) is sustaining from their Paradise Reality. Whatever they teach is from their Paradise Reality. So then (ﷺ) describes that the real circles of Zikr are the Circles of Paradise, sit with them and never leave a Circle of Paradise. How could you want Paradise but leave a Circle of Paradise? So it was a description of the world of Light. It means then that reality begins to open on the khafa (Hidden), where Sayyidina `Isa (AJ) is teaching that you resurrect your reality and you be amongst mankind, but not of that human nature but of a godly light, a Divinely Light, a Heavenly Light. Where Allah (AJ) said that they achieved a nearness to Me, that they approached Me through voluntary worship and I am the hearing with which they hear, the eyes with which they see, the breath with which they breathe, and the hands with which they touch, the feet with which they move, and so much so that whatever they ask of Me, Kun fayakun (Be and it is), is granted to them, and they are My Rabbaniyon. They seek knowledge and give knowledge, and it’s all they want from this dunya. Means that reality is the reality that we are seeking. 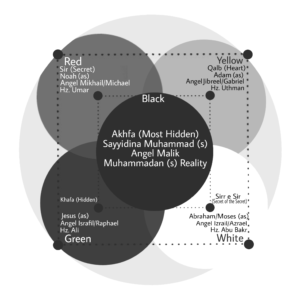 Then to be taken to the Akhfa which is the Most Hidden reality within our being, and represented by the black, because every other light has an existence, has a manifestation. 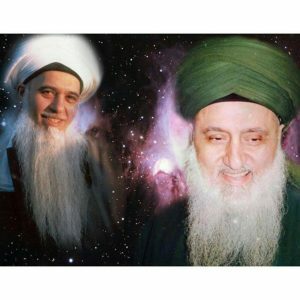 The master of non-manifesting realities is the presence of Sayyidina Muhammad (ﷺ). That all the prophets take everyone on that reality and present them to the annihilator. They present them to the Prophet (ﷺ), on how to become nothing, annihilated, and to be taken into the Divinely Presence, annihilated without a manifestation. Subhaana rabbika rabbil izzati `amma yasifoon wa salaamun `alal mursaleen wal hamdulillahi rabbil `aalameen. Bi hurmatil Muhammad al-Mustafa wa bi sirri surat al-Fatiha.